A good healthy wardrobe declutter can be good for your soul. They’re a great way to mark a transition and start a new phase in your life. Today we’re familiar with the idea of detoxing our bodies and cleansing the liver or fasting for a few days. In the same way, clearing out unwanted clutter from your wardrobe can really support endings and new beginnings. Often when purging a wardrobe of old clothes, I find many clients have many things that no longer fit or suit their new lifestyle and image: old outfits they no longer wear, corporate wear from jobs they’ve long left and things they just keep because … “Well, I can’t throw that out “. 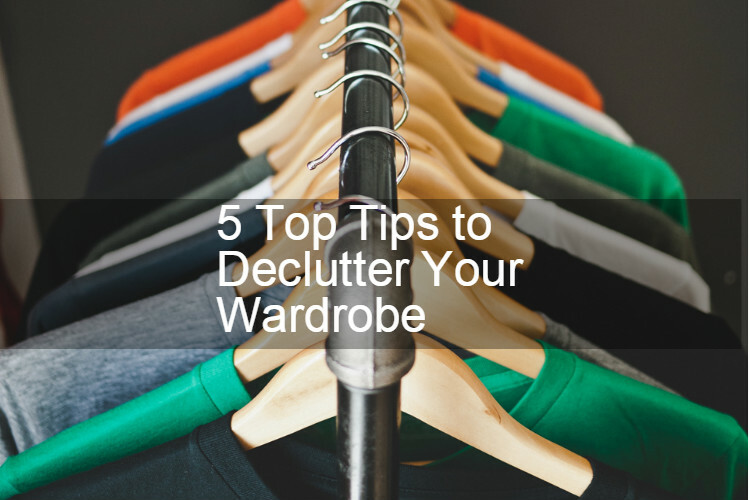 Here are my top tips for decluttering that overcrowded wardrobe and creating the ordered one you deserve. Your crushed clothes might thank you for it too! When decluttering it really helps to have a clear, focused intention. Look online for images of beautiful, ordered wardrobes that inspire you. Set aside some time to think about what you want to achieve and create a clear picture of the outcome in your mind before you start. Perhaps, reward yourself with the thought of those new things you could fit in your newly thinned-down closet! Write your goals down and pin them somewhere prominent while you work. If you lose focus it really helps to give it a glance and remind yourself of where you’re headed. Then work through everything mindfully but quickly, intuitively allocating each item to one pile and moving on to the next thing. It’s important not to lose the momentum (see next tip). It’s very easy to get bogged down if you spend too long with decisions. My top trick to avoid this is to have a ‘don’t know’ pile – as long as you don’t just put everything in it! This will really help you keep up your momentum. If you’re unsure about an item and spend more than a minute or so thinking, just put it in the ‘don’t know’ pile and move on. Once you’ve got everything sorted into categories, you can revisit the trickier decisions in the ‘don’t know’ pile later. You can also use it for things that might need trying on or work with a Personal Stylist to find the best colours that suit you. If you haven’t worn it in the last year, the chances are you’re never going to wear it, unless it is a special item, eg a designer dress you have for special occasions. However, here is an honesty check: if you were invited to a special wedding or charity dinner, are you actually more likely to go out and shop for something new! A great suggestion here is to turn the hangers around each time you wear something, that way you’ll know which ones you’ve worn. These practical tips will really help you declutter, but in the process you may find thoughts and feelings coming up and holding you back. There are some phrases I hear repeatedly when working with people who are clearing away some old clothes to make space for the new. These are often reflections of some limiting beliefs. Here are a few. If you find they come up for you, it may help to simply notice them and try to counter with my suggestions. “I took time to choose it, paid good money that I worked hard for, I can’t just throw it away”. The belief: if I pass it on I am undervaluing it or myself in some way. Counter this with: My value comes from within myself, not the things I own. If it has financial value I can sell it or choose to pass it on to a charity in the spirit of generosity. “I will lose weight and be able to fit into it again”. The belief: tomorrow is more important that today. Counter this with: I’ve chosen to create space and order in my life right now. I’m beautiful just as I am and I choose to have clothes that work for me as I am. “It isn’t worn out so I can keep wearing it”. The belief: I’m not worth a new replacement. Counter this with: Clothes are about more than function or utility, I deserve to have new and beautiful things. I hope you find this advice helpful. I know that decluttering can be a little overwhelming, particularly when you have a lot of stuff. So I have condensed my simple tried and tested process into my Home Declutter Kit that helps you easily work through your possessions and rationalise your stuff. 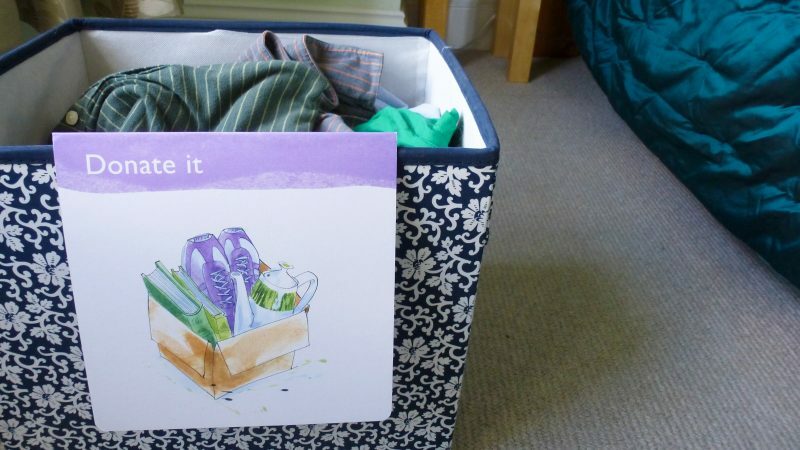 It features a helpful guide and even includes a set of cards specifically for wardrobe declutters. 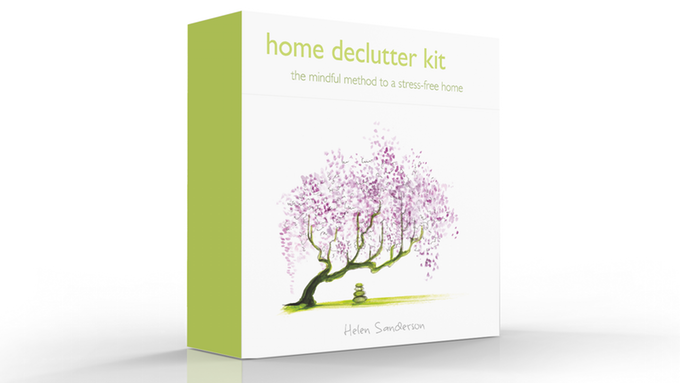 Discover more and order your Home Declutter Kit here on our crowdfunding page here: limited editions only available until 16th Nov 2016! Check it out now. 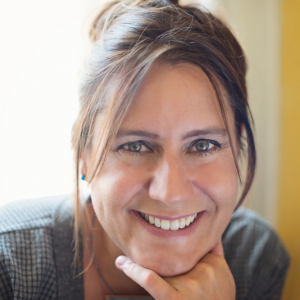 Helen Sanderson is a Professional Organiser and Interior Designer and has worked with people to support transformation and change for over 20 years. She transforms living spaces using interior design or decluttering and peoples inner space through workshops and mentoring. Help, I’m stuck in a wardrobe rut! What can tea with an astronaut and space travel teach us about working in our 50s and 60s?